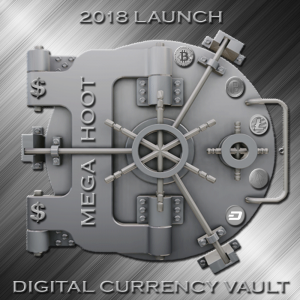 Technology and Cybersecurity company Megahoot, LLC, announced today that it has launched the Megahoot digital asset network and introduced the Megahoot Coin to the public. The maximum supply of Megahoot coins is 10 million and the total circulating supply is 5 million. The purpose of Megahoot Coins being launched are two-fold, first its use and second its intrinsic value. The intrinsic value is based on the actual growth and expansion of the company’s products and services. The use of Megahoot Coins is to facilitate transactions relating to Megahoot’s products and services within the Megahoot ecosystem. The products and services include: “Megahoot Enterprise”, which are enterprise level private collaboration networks, “Megahoot Blockchain”, which offers enterprise level blockchain creation globally, “Megahoot Smart Technology”, which offers customized smart technology for new residential and commercial builds adhering to smart city initiatives and “Megahoot Gaming”, which will offer online video games with ingame purchases of skins and more. Megahoot will be launching a free private collaboration platform summer of 2018 that will include a highly encrypted messaging platform that will allow users to text, call and video chat safely and securely. All messaging will utilize a timer that will allow users to have all records of their phone calls and messages permanently deleted from the network. In the near future there will be additional products and services added which will allow Megahoot coinholders to utilize Megahoot coins. As previously stated, Megahoot has a keen focus on protecting the data of its users across all current and future products or services, providing a high level of privacy and protecting user activity across the entire Megahoot Network. No user data will ever be sold or shared with third parties for any reason whatsoever. The Megahoot Coins were not issued as an Initial Coin Offering “ICO”, it was a direct launch. More information can be found on www.megahoot.net. “We felt this was a natural progression for the company as we look to add more technologically advanced products and services to our network. The Megahoot Coins being used within the Megahoot ecosystem was a plan that was in line since early 2017 and we felt that the time was right to launch them to coincide with the launch of the various products and services that are being introduced this year,” stated Louis Velazquez, CEO of Megahoot. Megahoot is a Technology Company focused on secure private collaboration platforms for business and personal use, incorporating ephemeral messaging, high security, use of cryptography and secure mobility. Products being introduced in 2018 include a digital vault for highly secure holding of various cryptocurrencies, loyalty tokens and information on/off the Megahoot Network. With the use of blockchain technology Megahoot will be venturing into various industries from smart homes to health care and more utilizing its blockchain technology platform that will allow corporations globally to create dedicated blockchain networks for their businesses for everything from accounting, logistics, supply chain management, security, education and much more. There will also be the ability to create loyalty tokens and coins aka cryptocurrency on the Megahoot Network. Megahoot LLC is a wholly owned subsidiary of Falcon Global Acquisitions. For more information on FGA go to www.falconglobalacquisitions.com. For more information on Megahoot go to www.megahoot.com. This press release shall not constitute an offer to sell or the solicitation of an offer to buy any securities or coins, nor shall there be any sale of securities or coins in any state in which such offer, solicitation or sale would be unlawful, and qualification under the securities laws of any such state. This press release contains forward-looking statements. The use of any of the words “anticipate”, “believe”, “expect”, “plan”, “intend”, “can”, “will”, “should”, and similar expressions are intended to identify forward-looking statements. The forward-looking statements contained herein are based on certain key expectations and assumptions made by the Company, including but not limited to expectations and assumptions concerning the receipt of required regulatory approval. Although the Company believes that the expectations and assumptions on which the forward-looking statements are based are reasonable, undue reliance should not be placed on the forward-looking statements because the Company can give no assurance that they will prove to be correct. The forward-looking statements contained in this press release are made as of the date hereof and the Company undertakes no obligation to update publicly or revise any forward-looking statements or information, whether as a result of new information, future events or otherwise, unless so required by applicable securities laws. This acquisition gives FGA an entry point into the social networking arena and allows for further integration into future FGA acquisitions in technology. “As the internet of things continues to evolve there will be a need for access to masses on a global scale, social networking gives a part of that access”, stated Louis Velazquez, Managing Partner of Falcon Global Acquisitions. This recent strategic acquisition path is part of an ongoing effort by FGA to acquire synergistic companies to spark organic growth within their technology subsidiary and branching out across all FGA subsidiaries. Falcon Global Acquisitions will be seeking additional acquisitions in the manufacturing, technology and aviation sectors of companies that may need restructuring to bring them to profitability. Falcon Global Acquisitions is a private equity firm that focuses on the acquisition of underperforming assets in need of restructuring. The combined experience of the core management team of Falcon ranges from securities and international business law, domestic and international logistics, domestic and international finance, commercial real estate, mergers and acquisitions, and spans well over 100 years. Falcon Global Acquisitions LLC also provides clients with various consulting services ranging from corporate restructuring, mergers and acquisitions and commercial real estate. This press release shall not constitute an offer to sell or the solicitation of an offer to buy any securities, nor shall there be any sale of securities in any state in which such offer, solicitation or sale would be unlawful, and qualification under the securities laws of any such state. error: (c) 2011-2018 Megahoot LLC - Content is protected ! !